Here are some visitors who didn’t have the motivation to fly away from the sheet as daylight approached. I hope they take off soon… the chickadees have found the buffet. 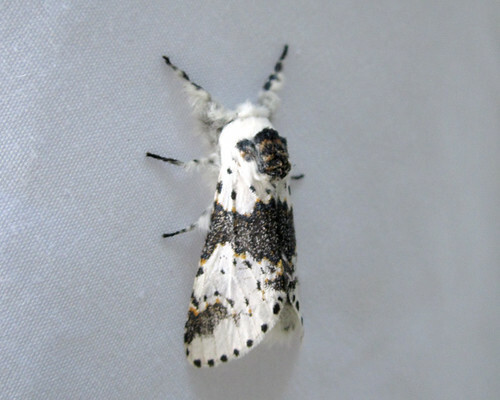 First is a pretty arctiid – Lophocampa caryae, the hickory tussock moth. 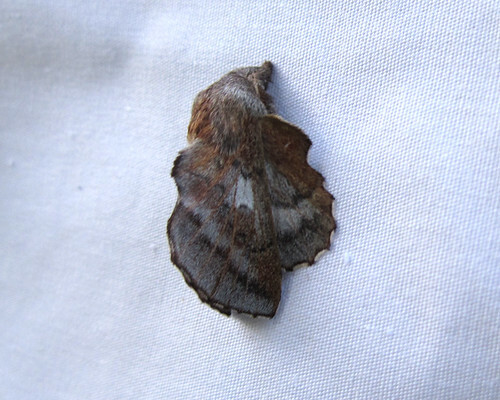 This one is sneaky… I thought it was some sort of arctiid, but it’s actually a notodontid! Furcula borealis. And an adorable fuzzy lasiocampid, Phyllodesma americana. I love how they hold their wings… hardly looks like a moth at all! And that’s the whole point, I suppose. 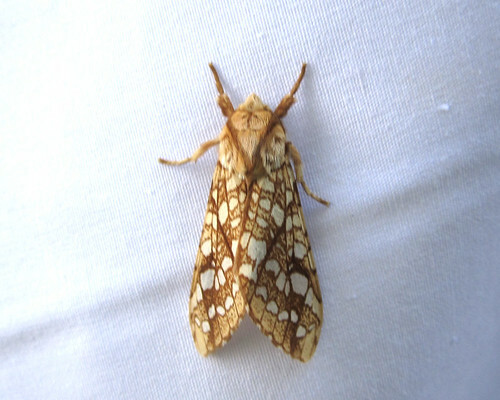 Posted on May 27, 2011, in Arctiidae, Lasiocampidae, Notodontidae. Bookmark the permalink. 1 Comment. Hurrah! Finally I got a webpage from where I can in fact get useful facts concerning my study and knowledge.